How does the ELDOA method help back pain? 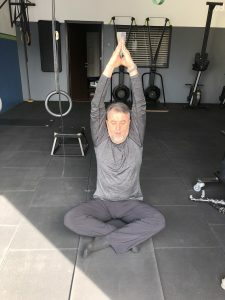 Clients, family and friends ask me oftentimes, “How does the ELDOA method help back pain?” So, I thought it best to write a blog post about it. Easier to just direct them to my blogs or, I suppose, I could just record my voice. Hmm…Yes, I do think about that at times! I finished my ELDOA 3 certification in order to help my clients, friends and family with their back pain. There are so many people who are plagued with this type of pain. People get back pain for many reasons but here are a few to keep in mind; sitting for hours at a computer, not exercising, not stretching, standing over patients while performing surgeries, playing a musical instrument for hours or, being unaware of gait issues from accidents etc. I’ve had some back problems over the years myself due to a boat accident I suffered. My awareness was thrown off because of pain I suffered. When the awareness is off a person tends to move away from the pain and the body will compensate to allow for it. When things start to heal you have to bring the awareness back so you don’t get stuck in unhealthy patterns of movement. Before taking this course I was already familiar with Guy Voyer’s ELDOA method and myofascial stretches plus, other techniques he created from when I worked with Dan Hellman in Ft. Lauderdale, FL. I learned from Dan and also saw first hand how the ELDOA method was used to help people with back pain from herniation, disc bulges, strained muscles, scoliosis and any other compressions that may stem from those years I mentioned before of sitting at a computer, not moving the body properly, being an athlete or, an accident. This is also why I started taking so many courses with Guy Voyer, DO. He is a brilliant man and it’s always a good idea to learn from the best! Years later when I moved to Southern California I also had the privilege of being treated by Guy Voyer, D.O. who created the ELDOA method and it really did help me immensely. To be honest, when I first heard about this method my initial thoughts were somewhat skeptical as I wondered to myself -How does the ELDOA method help back pain. But if it’s legit, I could really help my people with it. I highly respected the opinion of my colleague Dan but wasn’t fully convinced until I started taking Guy Voyer’s courses, got treated by him and, started taking the courses myself. I am deeply impressed with Guy’s brilliance, his knowledge of the body go way above any I’ve seen. Also, the practitioners I’ve met who have studied with him are all very knowledgeable. They have a deep passion and drive to help others feel better. I myself have gained a deeper understanding of the biomechanics of the body since taking so many courses and I’ve also been able to help my clients so much more by getting them out of pain as well as the other results like getting better quality sleep, hydration, energy, and much more. So now when my clients, family or friends ask me, “How does the ELDOA method help back pain” I know exactly what to say. “The ELDOA are postural exercises (LOADS in English) that you can do yourself with the primary goal being to increase the space within a chosen articulation. As the ELDOA ‘create’ space, there is an improvement in joint mechanics, increased blood flow, reduced pressure on the discs, a reduction of pain, spinal disc rehydration, better muscle tone, improved posture, and a sense of well being and awareness…… Designed by French osteopath Guy Voyer DO, the ELDOA (Etirements Longitudinaux avec Decoaptition Osteo-Articulaire utilize myofascial stretching to put tension around a primary lesion making it the center of “separating forces.” The myofascial tension solicits a postural normalization in a specific joint resulting in numerous benefits. Most back pain issues stem from some type of compression either from an accident, sitting at your computer all day working, staring at your phone texting, all types of bad posture and or congenital scoliosis. So, how then to reverse the compression? Guy Voyer, DO found that the ELDOAs greatly helped and minimized the degree of disc bulges and other back pain issues. He looked at the body as a whole and not just the age old model of one vertebra in relation to the next but rather in terms of the whole of the spine in relation to all of the body. To create more space between the vertebrae. To create more space for the intervertebral disc. To depress the nerve between the vertebrae. To improve proprioception of the vertebral joint segment. To improve proprioception of the Functional Spinal Unit. To hydrate the intervertebral disc. To move all the parts of the annulus fibrosis to stimulate the water intake. There you go! Now you know the answer to the question, “How does the Eldoa method help back pain” and in case you forget simply think that it ‘creates space’ in the segments of the spine. It is an amazing method that can greatly reduce the amount of surgeries people may have to endure the older they get, after years of poor postural alignment sitting at a computer, injury from accidents, or extreme exercise athletic endeavors. If you have back pain and are looking for a cutting edge method to eliminate it I highly recommend trying this. You won’t regret it. Is there any online classes available? I am from Banglore, India. No, unfortunately there are no online Eldoa classes at this time. I appreciate the sharing of quality, empowing information! Can you please respond to me by email informing me of anywhere and everywhere in the United States that it would be possible for me to acquire an in person certification. I am fixated on this method and will learn more about it. I really hope you can be the one to help me! Thank you, Taylor! I’ll email you soon. Thanks for posting! Encorporating eldoas into our regular workouts has been life changing for both me and my husband. My neck pain is gone and my range of motion has really improved! I’m so glad! Yes, Guy Voyer’s ELDOA method really is an incredible tool for spinal pathologies, compressions which so many people have, as you know, due to the sedentary lifestyle people live. Hi Ernie, you can try Janet Alexander at Pacific Fitness and Health….website is http://pacificfitnesshealth.com/.